Joe Perillo – As a young boy growing up in a Chicago’s Italian neighborhood, Joe Perillo had only dreamed of owning a nice car one day. His father passed away when he was only 12 years old and he had to help support his mother and sister. He couldn’t afford college and decided the best route for him would be to serve in the army. After serving his country for three years in Korea and Tacoma, Washington, he landed a job selling cars. He also met his bride of 50 years, Pat, and moved back home to Chicago to pursue his passion of selling Cadillac automobiles. He eventually became the number one Cadillac Salesman in the nation. After a short stint at the Chicago Board of Trade, he came to the conclusion that it was cars and, most importantly, making people happy that really drove him. He purchased a Pontiac dealership in 1975 in a fairly obscure area on Diversey Ave. now located in Lincoln Park. He turned a failed business into a very successful one in only a three year period during tough economic times. This allowed him to apply for the first BMW franchise in the city of Chicago. He opened his BMW store on Halsted St. in 1981. Since that time has purchased and sold both Lincoln-Mercury and Saab. He eventually moved his BMW store to a bigger location in the Gold Coast area on Clark and Maple and acquired several luxury lines including Bentley, Lamborghini, Bugatti, Rolls Royce and Maserati. 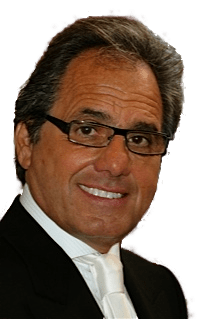 Perillo is widely recognized throughout the region and ranks very high amongst his peers in the luxury automobile industry. 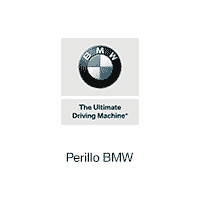 Perillo BMW is a family owned and operated business. The customer appreciates that ownership is very hands-on and makes them feel as though they are family. Joe, his wife Pat, his son Joe Jr and daughter, Trish all work the day to day operations of the dealership. Joe Jr. has been working next to his father since the age of 9 years old. The car business is in the family’s blood and wants to carry on the Perillo legacy with pride. Joe is the proud grandfather of four wonderful grandchildren. Mr. Perillo attributes his success to his ability to hire the best employees who are totally committed to the customer. He lives by the Golden Rule, to treat others, as you would like to be treated. If you ask him if he ever worked a day in his life, he would emphatically tell you “absolutely not.” He loves what he does and to him, he is living a dream! Follow Joe Perillo on LinkedIn for the latest Perillo Auto Group news.